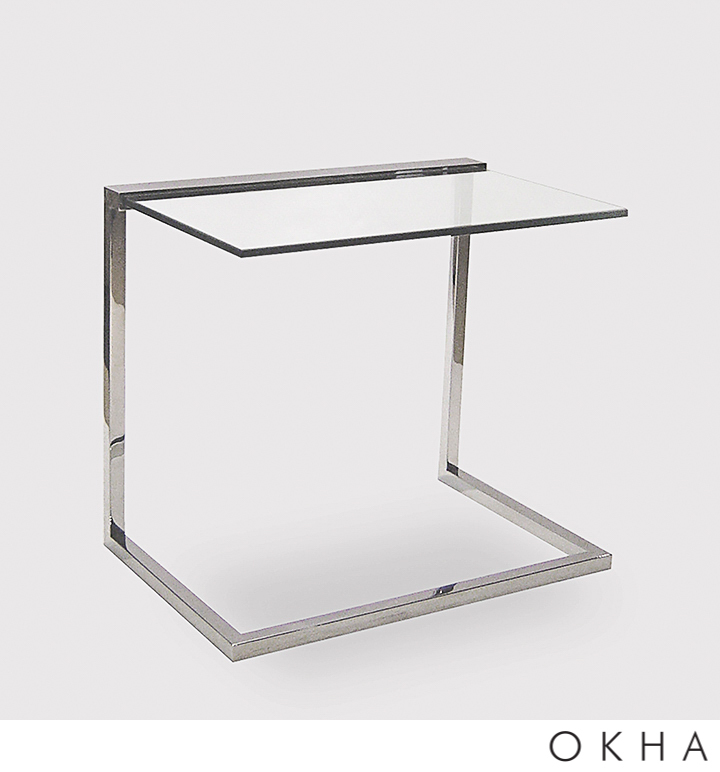 Steel base with glass top. Mirror polished stainless steel or powder coated mild steel base available in black or white. Toughened glass top available in clear, grey or bronze tint.